What fountain pen are you using? I actually don’t use a fountain pen: I use a Pilot G2 0.5 mm gel ink pen. 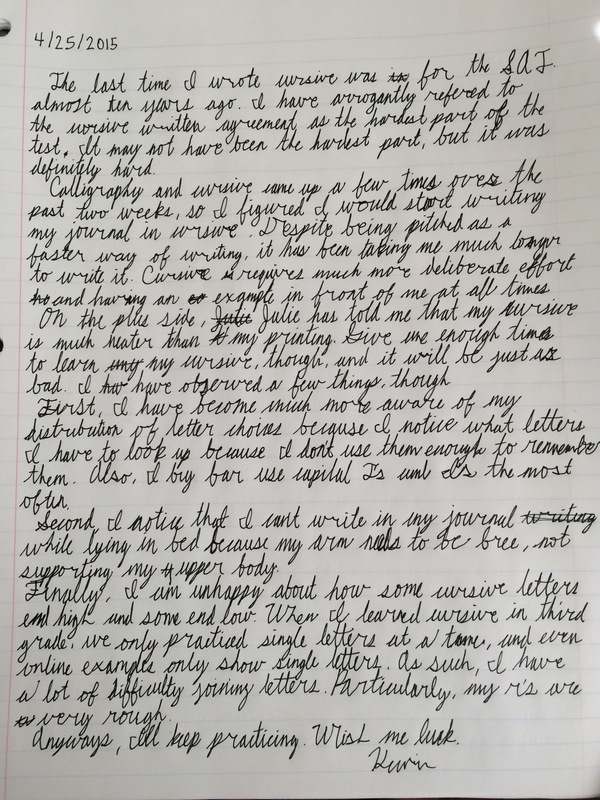 I have heard, though, that a fountain pen is a really good way to train oneself towards better penmanship. I, however, haven’t gone quite that far.